This time we will talk about an even living legend of European football, Marcos Senna, finishing his career with the New York Cosmos, club five-time champion League of America that just hired Raúl González Blanco and has had in its ranks players as Pele and Beckenbauer. We talk about the career of this midfielder, captain of the best Villareal history and key player in the Spanish team where he played the 2006 World Cup and was champion of Europe in 2008. Marcos Senna (Sao Paulo, July 17, 1976) was 11 years in Villareal, being a legend in the Castellon club and as he says always be a "groguet". In their march said, "It was a mixture of sadness for leaving has been my home and my" family "for many years and, at the same time, the feeling of a job welldone." From his time in the Valencian club, we remember the two semifinals of UEFA, Champions League semi-final against Arsenal of Thierry Henry, League runner-up in 2008, the two Intertoto´s Cup and the rise in its last season after promising a year before he would leave the team where it deserved, in the first category of Spanish football. At this time in the New York Cosmos from which recounts his experience as "fantastic both personally and professionally. New York is an amazing city and affection of American fans made ​​easy my adaptation and my family to this new project. Besides getting to win the league title in my first year here has given us more joy even if it is". 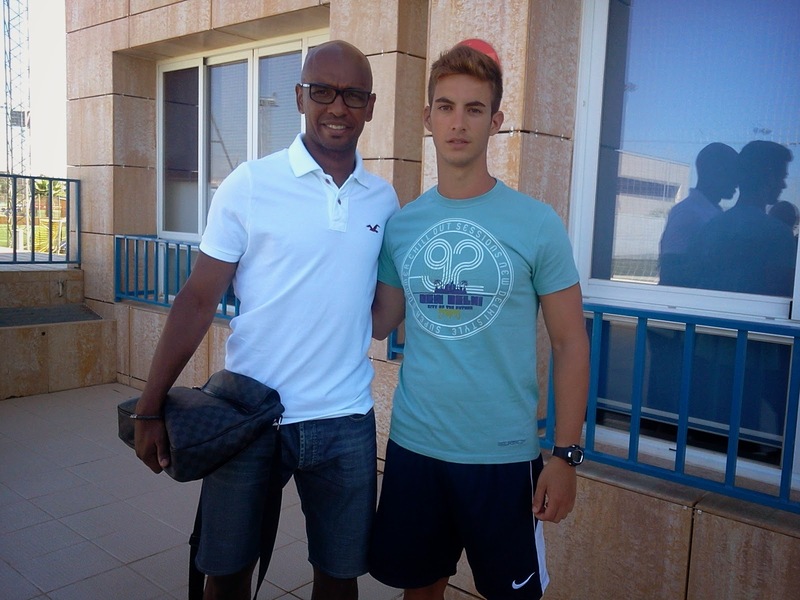 One of our blogger (R. Dario) with Marcos Senna. To end Marcos tells us that he thinks coaching in the near future. Anecdotally, in 2013 his tribute match in Villarreal at the Madrigal between his current team and the yellow team. We leave a video with one of the highlights of the Spanish-Brazilian player.